Maximize your trailer’s safety and transportability with the FastracTM system! tire to your trailer. The kit includes all the hardware you need to quickly install and remove the wheel chock.. Installation is easy. Align trac, Drill and mount the FASTRACTM accessories to make transporting simple. Our high quality removable sport bike wheel chocks are engineered and designed to stabilize the front wheel of most sport bikes during trailer transportation. 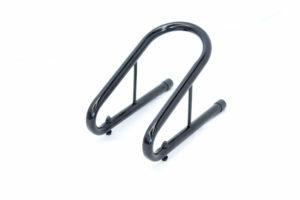 These sport bike chocks are easily removable using the FasTracTM system and have a low profile attachment, are constructed of 1 inch heavy duty steel tubing.